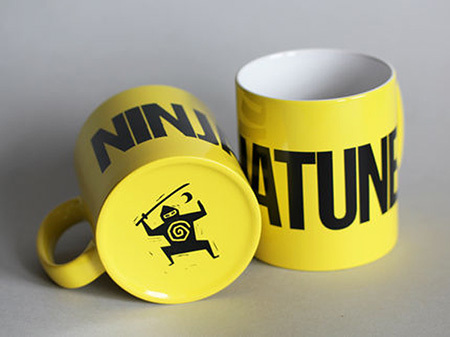 My Ninja Tune logo appears on mugs released today as part of the seminal British record label’s product line. Available online at the NinjaShop. More about the logo here.